Update - Nursery Works Sleepytime Rocker now available at Ubabub! Update – Nursery Works Sleepytime Rocker now available at Ubabub! As a new parent you spend a lot of time feeding, rocking and cuddling your baby. What better way to do all that than in a statement Nursery Works chair. Contemporary rockers have been a little thin on the ground here in Australia, but good news Babyologists – this rocking beauty is available right here at Ubabub! The Nursery Works Sleepytime Rocker is as stylish as it is functional. 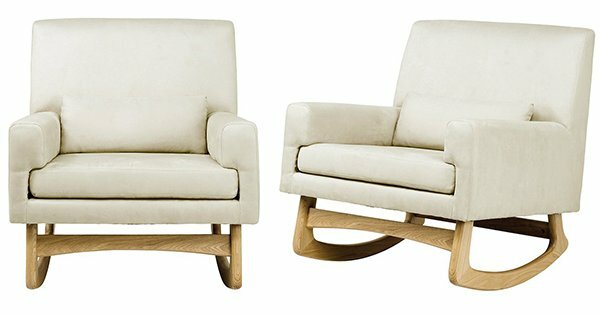 A luxurious modern piece, there’s full back to support adult bodies and plush arms to provide the ultimate comfort when holding your child for extended periods, while the timber base provides a superbly smooth rocking motion. 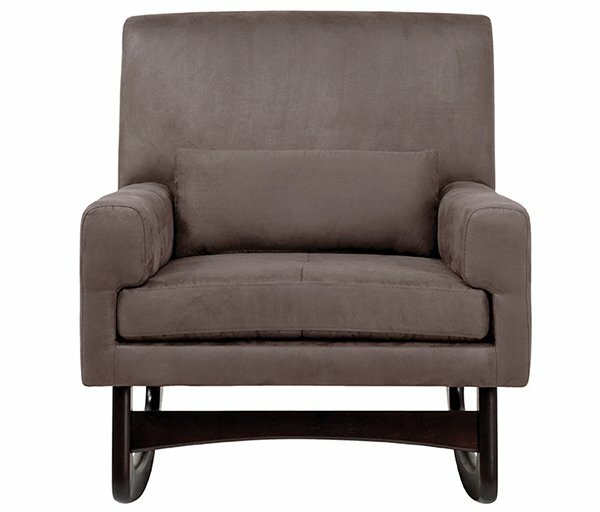 Sleepytime Rocker is (rather wisely) made using water and stain resistant micro-suede, perfect for easy clean ups should a mishap occur. And when your baby morphs into a toddler, it’s the perfect chair for snuggling up together while reading a bedtime story. Choose from Ecru or Slate, with Ash or Dark Ash legs. Whichever you choose, these rocking chairs are perfect for contemporary nurseries and won’t look out of place in your living area afterwards. The Nursery Works Sleepytime Rocker is priced $799 and is available from Ubabub.